Environmentalists say the move will undermine protections for the struggling bird species. Steed said the broad revisions to the Obama-era plans were meant to move beyond what he called a "one-size-fits-all" approach under the old rules. He said the changes give more flexibility to land managers and states concerned about balancing economic development with protections for the bird. 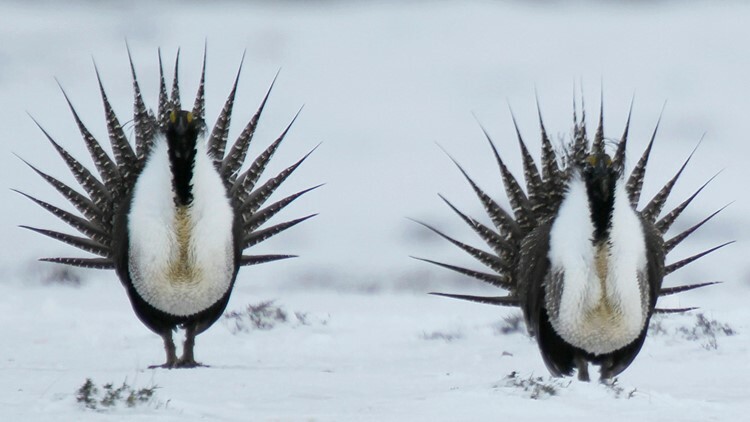 Such a designation could have brought severe limitations on grazing, energy development and other activities across the bird's range, which covers some 270,000 square miles. In Wyoming, one of the most important remaining strongholds for the species, Republican Gov. Mark Gordon said the changes would "provide predictability" for economic development while conserving grouse. "We look forward to working with the BLM and our local communities to move important conservation measures forward to protect greater sage grouse in Colorado," Polis said in a statement.